Enter your username and password. Use the password reset link if you need help. From the main Surveys area, click the Create Survey button. Enter what you’d like to appear at the end of your custom survey URL. 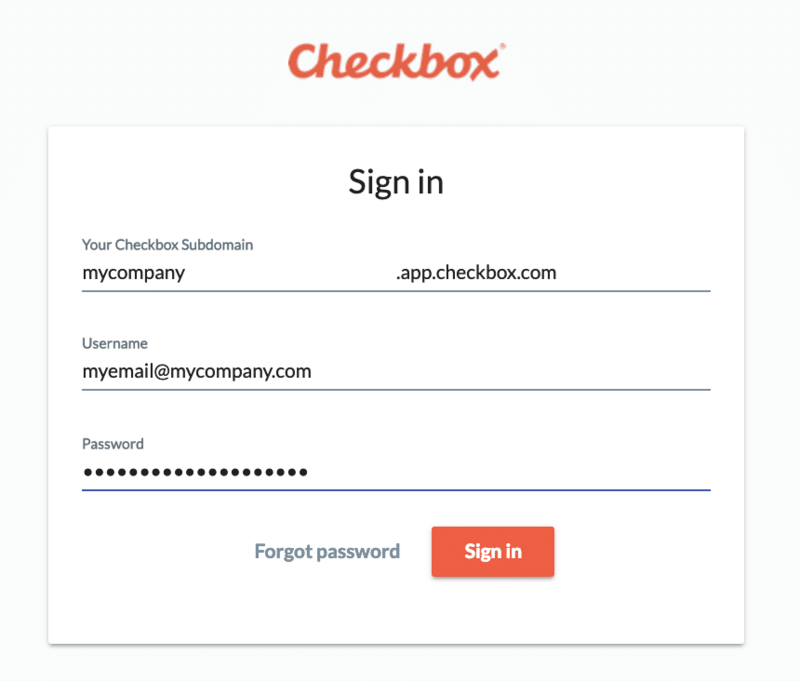 In this example, our custom link would be https://mycompany.checkboxonline.com/newsurvey. Select an existing folder to save your survey in (optional). 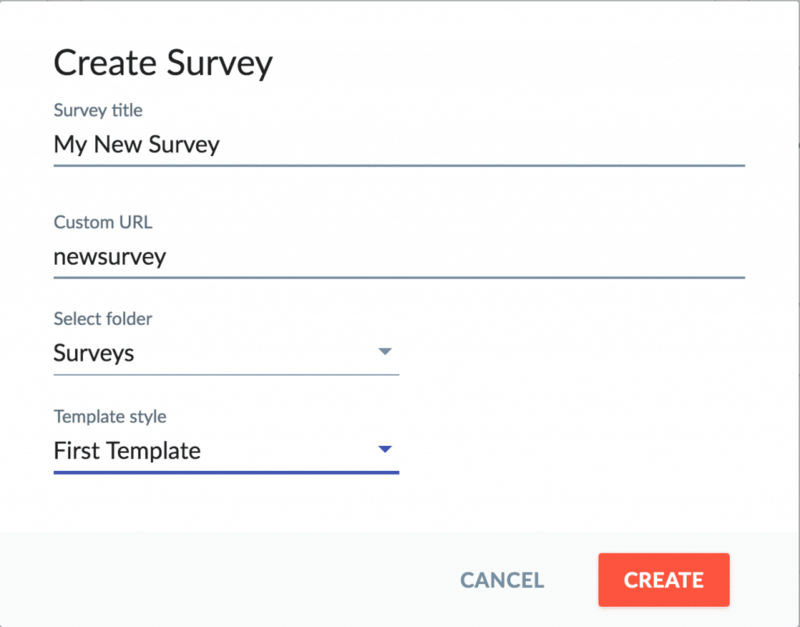 Select an existing style template to apply to your survey. 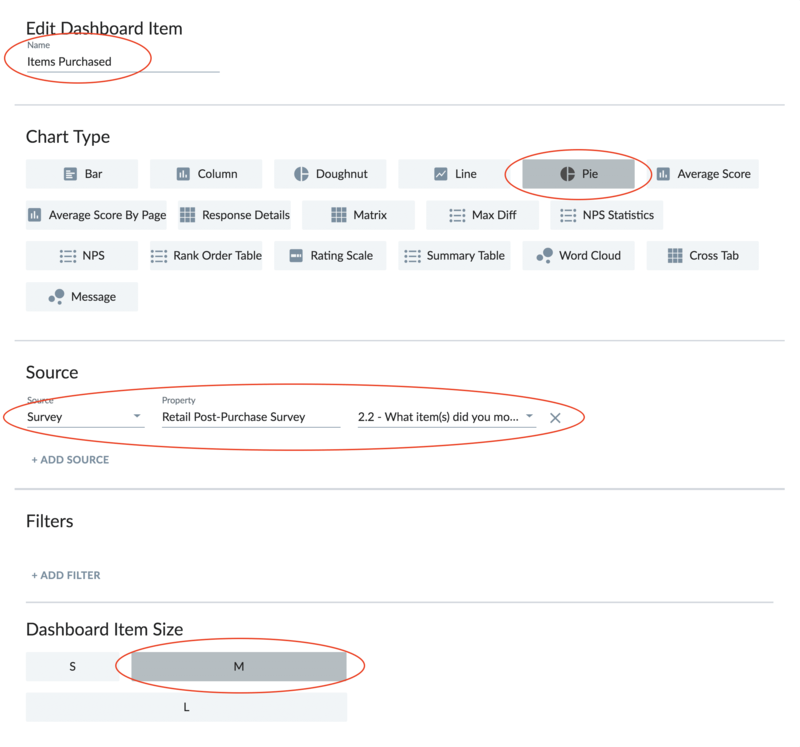 You can use one of the templates included with your Checkbox account or create your own in the Styles area. Your new survey has been created with a single blank survey page and a Completion page, which is where your thank you message will go. Choose the Question Type you’d like to add. If you aren’t sure, you can find some descriptions and examples here. Enter your question text and optional subtext. Enter your answer choices, hitting enter or clicking the Add Choice button to add more options. Enable options under Behavior to make your question required, randomize your answer choices, or allow users to enter their own “other” option. Change your question layout under Appearance. Add Conditions to your question if you’d like to only show them based on how someone answers a previous question, or based on something about the user or the survey response. Add Conditions or Branching to your page if you want to hide the whole page based on conditions or skip a respondent over certain pages. For more information on survey logic, see our Conditions and Branching Guide. Add additional pages using the Add New Page button. To change the order of pages you can drag and drop them into place. Your Completion Page comes with a basic thank you message, “Thank you for taking the survey.” Click the edit icon to change the message. You can add multiple messages and add logic rules to each so respondents see custom messages based on their survey answer(s) or user profile(s). You can also add action items such as custom emails or emails that include the full survey response under Add Action Item. 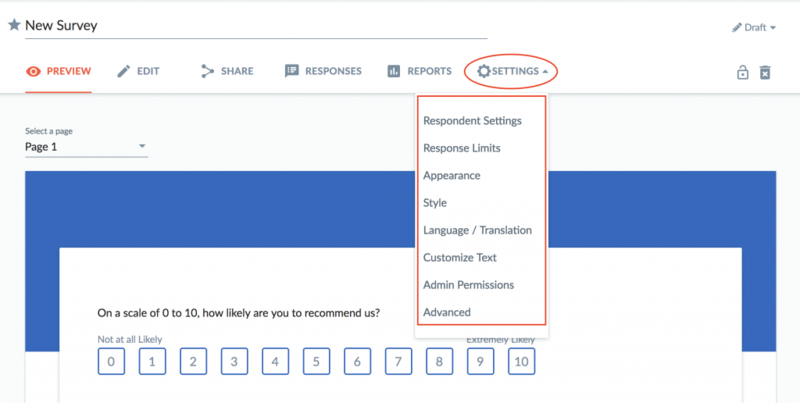 Click Settings -> Style to apply or change your survey’s style template. This will change the color scheme, background images, and default fonts. You can create your own custom Style templates, which can include your own logo/branding, in the main Styles ares. For more information, see our Branding Guide. Click Settings -> Appearance to adjust other settings such as adding page numbers, questions numbers, a progress bar, and more. Feel free to test out these settings until your survey looks just right. 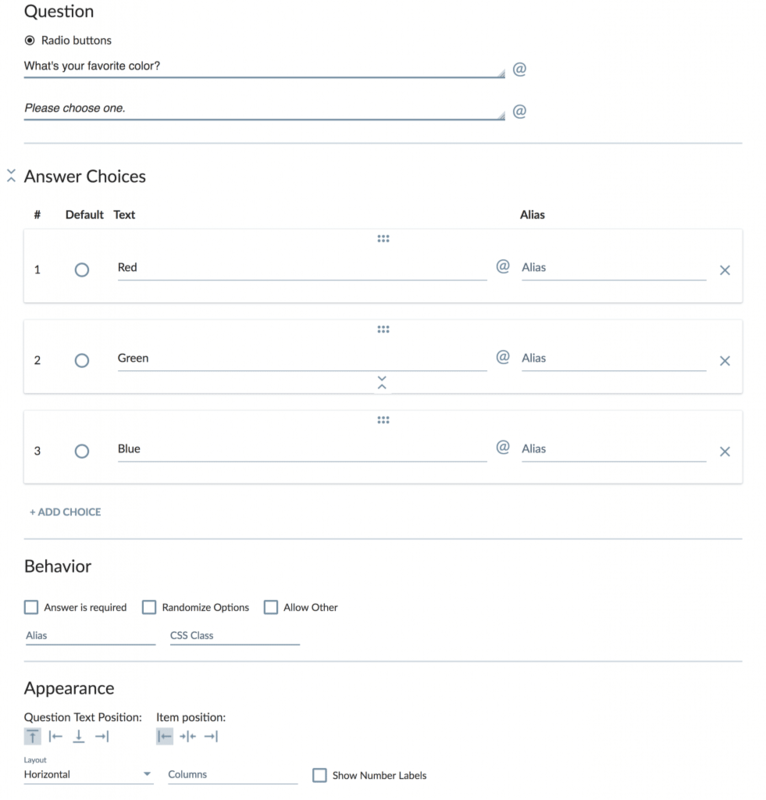 Use Respondent Settings to set the Privacy Level of your survey and other respondent-level permissions. Use Response Limits to set a start or end date of your survey, or response quotas. Use Customize Text to customize the validation/error message and button text on your survey. Use Admin Permissions to share your survey with other admin users on your account. Before you share/distribute your survey, make sure you activate it using the dropdown option to the right of your survey title. If your survey is in Draft or Archive mode, you’ll see a warning when you go to the Share tab. 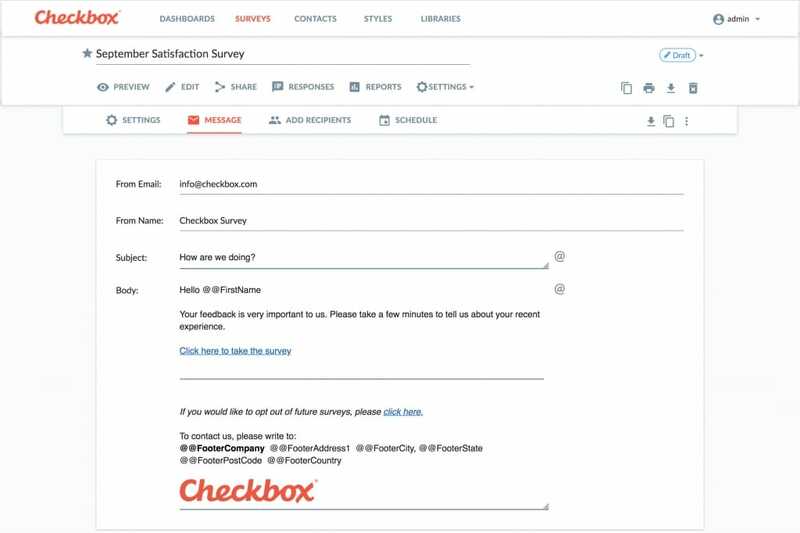 Checkbox Invitations allows you to schedule survey email invitations, track respondents, and schedule/send follow up reminders automatically. Under Share, click the Create Invitation button and follow the prompts on the Message, Recipients, and Schedule tabs to set up and send your email invitation through Checkbox. See our Email Invitation Guide for more details. **Note that when sending your survey by Checkbox email invitation, it’s generally recommended to set your survey Privacy Level to Invitation Only under Settings -> Respondent Settings. Under Share, copy either the Default URL or Custom URL (these are interchangeable). Paste to share on your website, on social media sites, using your own email, etc. **Note that in order for everyone to be able to access your survey link, you will want to set your survey Privacy to Public under Settings -> Respondent Settings. Under Share, copy the Embed iframe code. Under Share, choose the Social Media site you’d like to share your survey on. Under Share, click the download icon next to the QR code. Add the QR code image file to your printed materials (e.g. postcard, receipt, etc.) – survey respondents will be able to use any QR code reader to scan your QR code and access your survey. The Export Responses option will allow you to choose to export to .csv or .sav, and choose what information to export. Quick Export is a one-click response export based on the defaults you set up in your System Settings. 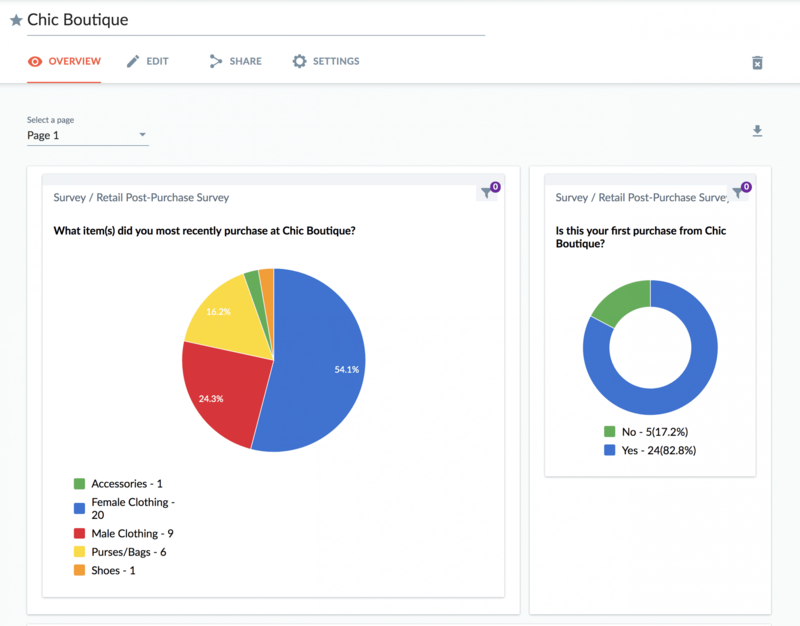 Your Report will include default chart types for each question of your survey. 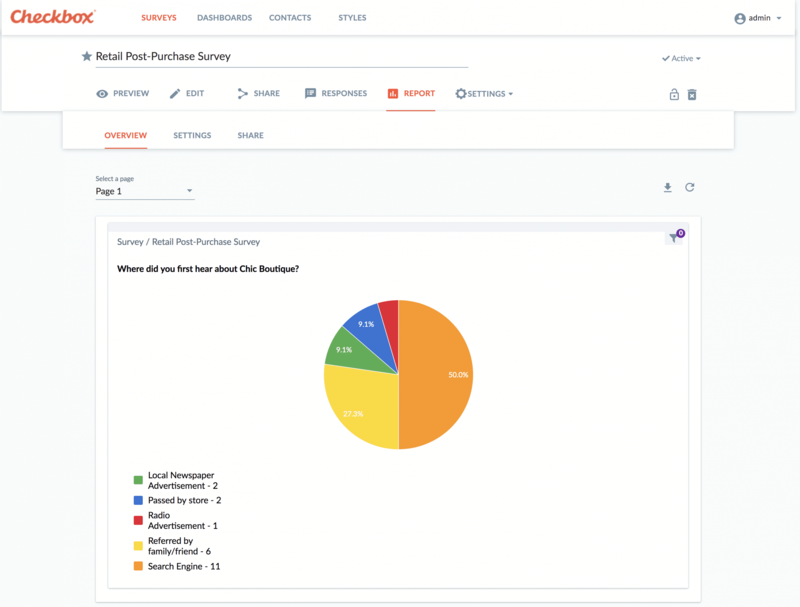 To create a more custom report or a report based on multiple surveys, you will want to use the Dashboards feature. Go to the main Dashboards menu to create a new custom report. Thanks for viewing the Checkbox 7 Quick Start Guide. This guide is meant to get you started but just brushes the surface of what you can do with Checkbox. View our Help Guides for additional features and FAQ’s.